We had a great Dell group work on May 15. They are returning volunteers who always accomplish so much. This time they completed 19 boxes, which was all we had. 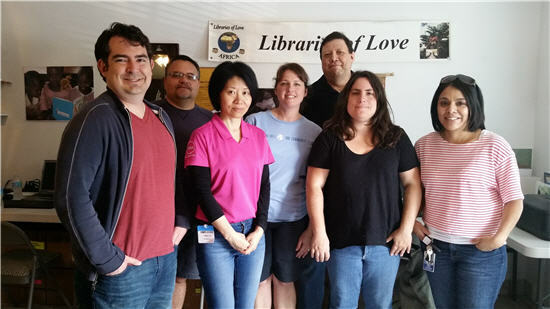 Pictured are James Greren, Shyrla Zapata, Kathy Hicks, Pablo Harrsch, Thang Pham, Michael Bishop, Daniel Rounds, Kristina Phillips, Amanda Zapata,and Diana Watkins. Not pictured was Randy Maynard. 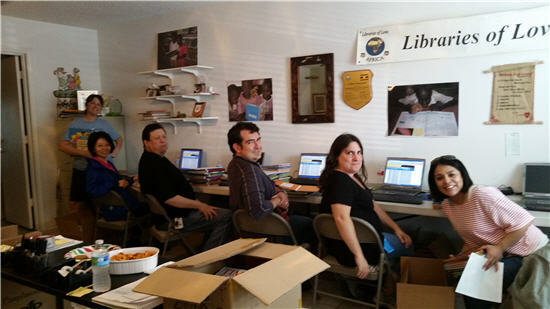 Many thanks to this group of Dell volunteers who completed 12 boxes on April 10, the first books prepared for the 2016 libraries. 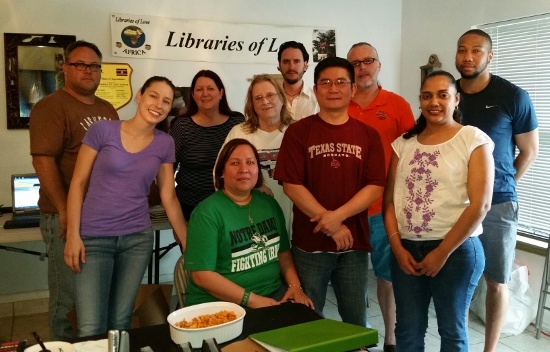 Volunteering were Walter Carrion, Pascal Cohen-Hadria, Linda Lu, Bridget Montemayor, Lupe Guzman, Stacey Meyer, and Oralia Perez.